Usually, pushing a form button will result in a full page refresh. If you don’t want that – set to false. Ajaxifying forms works transparently to the user. It does not require any changes on your side. In case of a cross-domain form, it is not ajaxified. pronto.submit is fired each time a form button is pressed, passing the URL. More complex forms may not work out of the box. Question about handling form without a submit button. I’m looking into using your excellent plugin to use in a button-less form. I need the form to submit on changes in the selectbox, which will update the results. It works perfect when using a submit-button, but once I use document.getElementById(‘formid’).submit() to submit the form it refreshes the page. I’m a little confused how I can manage to make it work, tried adding an extra EventListener but was only partly successful. …you’re sort of bypassing Ajaxify and its internal workings. Must admit, that I never had a similar enquiry before – that seems to be a tough one! 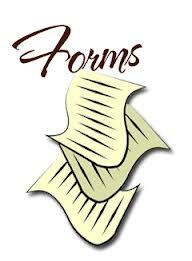 What you really would need is a suitable entry point for submitting the form within Ajaxify. Although I hate to admit it, my knowledge on this appears to be limited. I also don’t really understand how pronto.render would be able to trigger the form submit, since as I’ve tried to use it it’s fired after the results are rendered, not prior. I really appreciate you trying to educate me on this, but I will keep the form up with a button for now, that seems to work ok. Every other hack I’ve tried so far has had the same result, indeed bypassing Ajaxify, alas. I’d love it if I was able to use something like pronto.change on the form to have it send the form data and return the page. In my case Ajaxify would really make good use this feature. It would be able to get cached results way faster than the AJAX-call I would otherwise need to create. event, that Ajaxify raises on form submit, right? Just wanted to let you know I appreciate all your efforts, but I’m still unable to make it work the way I want it. I’ve been able to make some progress, but it still errors out on the console. I’ve decided to give up for now, and tracking back to a regular ajax-request that changes a fixed DOM-element. Thanks for this ajaxify plugin very useful !!! Is there a solution to do this ? Just guessing – would you like to send the timing data via a synthetical POST operation? EDIT: Maybe you can call a PHP page dynamically passing the data to your server within the pronto.submit handler as you have started doing already? you’re hooking into pronto.submit nicely and your code looks okay. I suspect a timing problem, that your code is firing too late. Kind of new to this and not sure I am using Ajaxify correctly. Could you take a look and see if I am on the right path? Had to add “class=”no-ajaxy” to a href links to get them to function correctly. Well, looks like the comment form stripped out the important part. Do you mind if I ask question on GitHub? no, don’t mind at all – please ask it at GitHub! 1. Without ajax switched on, everything works instantly when a visitor wants to send a message via the chat plugin. 2. With ajax switched on, it can take 3-5 minutes before a message is submitted.. it just sticks on loading..
On a reload, the chat works perfectly. So I think the problem is that it needs to be reloaded every time I go to a new page or something.. but I cannot figure out how. I hope you can help me out. Thanks for taking the time to read. please have a look at how to hook into the Pronto events! I’ll take care of it asap. In the meantime, do you have a URL to your (test) page? Don’t you think it would be more elegant to validate, whether the form is empty within Ajaxify and react correspondingly? Therefore, I’m not going to change that behaviour, because it is the same, as when Ajaxify is disabled. but does not work in html when alert (empty) done, it will redirect *home (*cek php). why I wanted to check in html but already there is check in php? You can do, whatever you like at a PHP level, Ajaxify is just a layer on top of the HTML. You could try implementing that, without killing Ajaxify? fix, I had to put check empty on search button to make work. that’s great! Does it work now? I have a problem on my site with the “contact form builder”, it does not work with ajaxify. This contact plugin is a wonderful customizable form, that could be interesting for any wordpress site. As I am a user without knowledge in programming, I am not able to help myself. thanks for the interesting enquiry! yes, great, it works, many thanx! Unfortunately I cannot find the line I have to override to get Ajaxify and my form working at the same time. Also I would be interested to know how to stop the caurousel in the plugin. I am not able to finish reading or writing before the plugin starts running. My third question is if there is a possibility to follow your blog automatically. I guess lots of users would like to get your news. Stopping the carousel / slideshow is on my todo-list, but not implemented yet. At the moment, you can just alter the duration of idle time and sliding. Finally, great idea with the newsfeed! Is there a plugin or similar in WordPress? On free wordpress sites it can be an already integrated widget. I can tell you the name of it later. Anyway there is certainly a choice. I installed it directly in wordpress. I will try to override the line like you said. here from my PC at home: the name of the plugin I choose in wordpress is “Simple Subscribe”. I tried to find the code where I should overwrite the line… but i dont know where the code is. Sorry, not able to catch fishes myself yet. Do I have to override the Bob code? Thanks for your recommendaton of WP-Plugin “Simple Subscribe”! The result is that Ajaxify is not running… what could be the mistake I made?